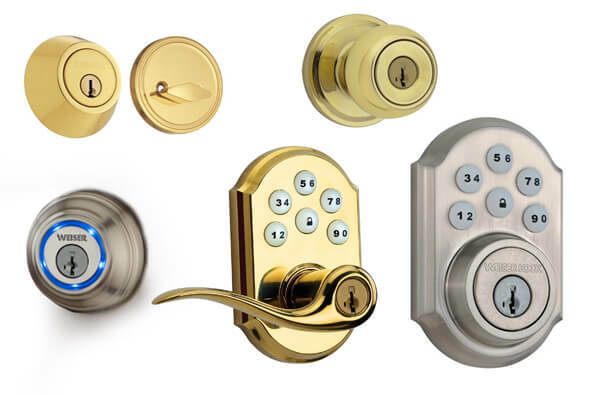 Are you looking for reliable and professional locksmith company that sells, installs and repairs Weiser Lock smart and electronic door locks, deadbolts, knobs and other door hardware products in Chicago, IL? We are a local provider of residential and commercial locksmith services throughout Chicago Illinois. We offer Weiser Lock products installation, repair and replacement services 24 hours in any case of emergency. Our technicians are licensed, bonded and insured, and always ready to provide you fast and professional locksmith services anywhere in Chicago area. After its inception in 1904, Weiser has become a reputable company for the stylish doorware and locks. The company has come a long way ever since its commencement and now a hundred years later Weiser has become the choice of top officials and offices. A large number of people rely on Weiser because of high-quality material and everlasting durability that is guaranteed with their every product. Weiser has brought in many innovative ideas in security solutions. They offer various products to cater to different locking needs of our customers. The products feature a separate collection for home needs, however, their products are highly recommended for commercial purposes as well. Weiser has various series to accommodate every type of style and need. The different series feature, electronic locks, safe locks, SmartKey padlocks and innovative wireless technology locks as well. The future of locking solutions is in the safe hands with Weiser. The products and locks are available in different color schemes as well so as to give you the best complementary design for your doors.